The legal practice of Worth, Longworth and London is dedicated to the focused representation of law enforcement officers in the New York City area. Each of the firm's lawyers has a background in either police work or prosecution, so they are uniquely qualified to understand exactly what law enforcement officers are facing. Several have received the prestigious AV® Preeminent™ Peer Review RatingSM by Martindale-Hubbell®, the highest rating available for both professional competence and ethical integrity. 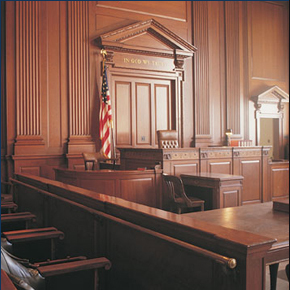 They help the firm's clients get the best resolution of job-related administrative, criminal, or civil cases. Worth, Longworth & London, LLP has the extensive experience and concentrated focus to provide law enforcement with the most effective legal assistance in all issues that arise in connection with the work. Law enforcement officers can rely upon the support and experienced legal counsel of Worth, Longworth & London, LLP when they are facing administrative or criminal charges or are being sued in connection with the work. Contact Worth, Longworth & London, LLP online or call the Manhattan office at (212) 964-8038 or the Long Island office at (516) 621-0007.